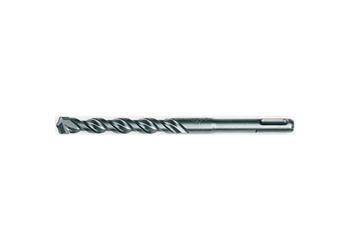 48-20-7434 - BIT SDS 1/4" X 9" X 11"
Milwaukee's 44 Magnum series carbide drilling bits offers a unique multi-faceted carbide insert reducing the breakage possibility when drilling through re-bar and mesh. The distinctive chisel shaped tip breaks concrete quickly for faster penetration. The four fluted spiral shaft has improved dust removal resulting in less bending stresses. Available in diameters from 5/32 inch to 5/8 inch. One per package. Also available in bulk 25 per package.